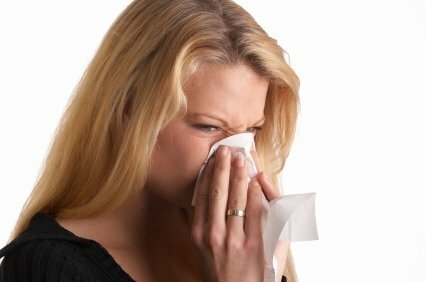 You may be suffering from an indoor allergy if... you get home from work and immediately begin to sneeze. You enter the basement and your nose starts to run. You may have an indoor allergy. Everywhere we go we are surrounded by allergens. And for the most part these substances are harmless and cause no reaction in us. But certain people will have a reaction to one or more of the allergens found in the air we breathe. Our bodies may view an allergen as potentially dangerous and will begin to release histamine and other chemicals in an effort to eliminate it. The reaction is commonly referred to as an allergy. Many of the symptoms of allergies are similar to those of the common cold. Coughing, sneezing and running nose especially. Sometimes even headaches and a scratchy throat. So how can you tell the difference? One factor is the length of time you experience symptoms. If you are sneezing for a few days and slowly is goes away, you probably had a cold. But it the sneezing continues for weeks at a time or subsides suddenly when your environment changes you may be allergic to something. Another common allergy symptom not associated with the common cold is itchy, watery eyes. Allergist or immunologist can test for sensitivity to allergens. The most common test is the skin test. Different allergens are applied to the skin to see if a reaction occurs. Blood tests can also be performed. If you suspect you are allergic to something in your house keep a record of when and where you experience symptoms and for how long it has been happening. Do you experience symptoms at a specific time of day or during one season of the year? Do you have pets? This information can help your doctor pinpoint the allergy. Most indoor allergies can be treat. And regular treatment can minimize your symptoms. Medications that block histamine are popular for quick, but temporary relief. Some people will actually grow out of an allergy, but for most of us allergies will continue to plague us as long as the allergen exists. The best remedy for allergies is to avoid what you are allergic to. Sound easy? Not really. But once you understand the cause of your indoor allergy you can take steps to minimize that allergen in your home. 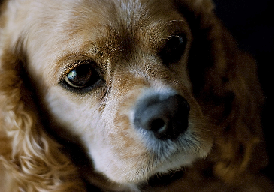 For example, you are an animal lover, but you just found out that Fido's hair is making you sneeze. Finding a new home for Fido probably isn't going to be your first choice to minimize you sneezing. But consider making your bedroom (where we all spend most of our time at home) a dog free zone. 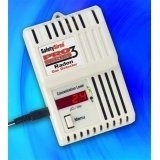 Thus you can minimize the severity of your allergic reaction.